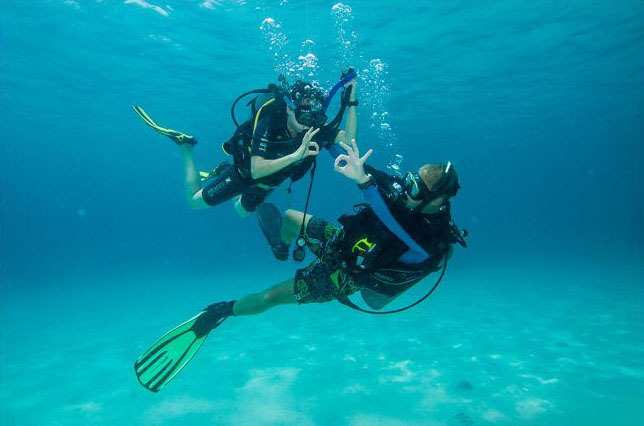 The PADI Scuba Diver course is a subset of the Open Water Diver course. This course can be completed in as little as 2 days, perfect for those with a limited time frame and will still give you a fulfilling PADI diving experience. PADI Scuba Divers are trained to dive under the direct supervision of a PADI Divemaster, or PADI Instructor, to a maximum depth of 12 metres. PADI Scuba Divers have more theoretical background and better developed water skills than PADI Discover Scuba Diving participants. However, it must be noted that they are not qualified for independent diving. Diver Pre-requisites Minimum age 10 years. * Note: 10-14 year old divers earn a Junior Scuba Diver certification. We conduct the course over two days and like the PADI Open Water course, the program consists of three separate sections. The PADI Scuba Diver course consists of three main phases: Knowledge Development (online, independent study or in a classroom) to understand basic principles of scuba diving. Three Confined Water Dives to learn basic scuba skills. Two Open Water Dives to use your skills and explore the amazing coral reefs and marine life around Dahab. Participants must also complete a water skills assessment, consisting of floating or treading water for 10 minutes without a swimming aid.